Section 1: In order to qualify for any award, the rider of each horse must be a Regular, Young/Junior Rider, and/or Life member of the Association. The rider must be a member before the start date of competition(s) for which scores are submitted in order to have these scores count toward awards. This is the responsibility of the rider; the only exception is if a $50 late fee in addition to the regular membership fee is paid. See membership application for renewal rules. Rider or owner must properly and fully complete the IDCTA awards form. The form is available on the Awards section of the website (www.idcta.org). The USEA result summary from the USEA website (including final point scores) must be submitted. If scores will not be on the website before the deadline, the signature of the show secretary or organizer must be submitted instead. Award forms must be postmarked by October 31 if mailed, or received via email or fax by the awards committee by October 31. Section 3: The show year begins on November 1 (or that weekend) of one year and ends on October 31 (or that weekend) of the following year. Section 4: It is the rider or owner’s responsibility to report his or her own scores. Section 5: In the event that no qualified recipients for an awards category are presented to the awards committee, that awards category for that year will be deleted. Section 6: A rider/horse combination who has ridden above the Preliminary level in the 5 years prior to the current show season is not eligible to receive year end award recognition in the Novice or Beginner Novice categories. A rider/horse combination that has ridden above the Training level in the 5 years prior to the current show season is not eligible to receive award recognition at the Beginner Novice level. 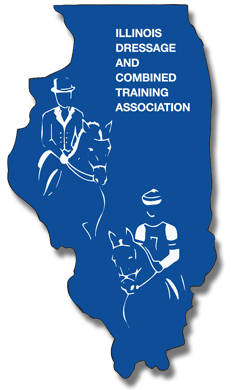 Section 7: All riders who wish to be eligible for year end awards must volunteer a minimum of five (5) hours per calendar year at IDCTA related activities or other sanctioned shows/events, or pay a $50 fee in lieu of the hours worked. The hours will be recorded by the rider and must be signed by appropriate volunteer coordinator or show organizer. It is the rider’s responsibility to forward the score report sheet to the awards committee. Hours must be completed and sent to the awards chairperson, postmarked by October 31 of the award year. Each level has three divisions: Junior- 18 under, Adult Ameatur- 19 over, Professional-19 over Professional/Ameatur as defined by USEA general rule number GR1306. Ribbons will be awarded through 6th place. Awards will be listed as Champion, Reserve Champion, 3rd,4th,5th, and 6th. A Grand Champion and Reserve Champion will receive a prize for each level. 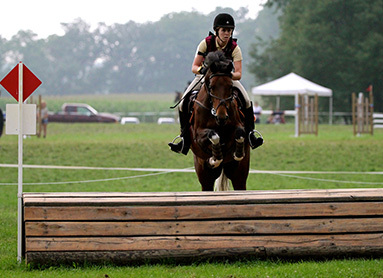 USEA Sanctioned Combinded Tests and Non-Sanctioned Eventing Derbies*– Half points. These events received one-half the points USEA sanctioned HT. Eventing Derbies consist of a Dressage test followed by a jumping course combining both stadium and cross-country fences. Jumper derbies consisting only of a stadium course does not count towards points. *Completing is defined as finishing with a numerical score regardless of the placing. *Most wins th USEA HT, CICs, 2 or 3-day events. *Most top 5 finishes at USEA HT, CIC 2 or 3-day events. * Most top 3 finishes at USEA HT, CICs, 2 or 3-day events. * More Finishes in HT divisions vs. CT/Derby divisions. Young Rider Of The Year – Champion and Reserve Champion. Presented to the Young Riders with the highest point totals for the year. (Definition of a Young Rider per IDCTA by-laws). Points from Schooling Show Mini Event level do not count towards this award. Adult Amateur Rider Of The Year – Champion and Reserve Champion. Presented to the Adult Amateur rider (ages 22 to 39 years) with the highest point totals for the year. Amateur determined as per USEF rules. Points from the Green Horse awards level do not count towards this award. Master Amateur Rider Of The Year – Champion and Reserve Champion. Presented to the Master Adult Amateur rider (40 years and older) with the highest point totals for the year. Amateur determined as per USEF rules. This award is offered to horse/rider combinations with 2 final scores of 50 penalties or less from USEA recognized events at 3 different levels (Beginner Novice through Advanced) for a total of 6 submitted scores per combination. No more than 3 of the scores can be from the same venue. For 2019 awards, scores can be submitted beginning with the year 2013. Please submit a rider summary from the USEA website including the relevant scores. Rider and owner must be a member during the current awards year, but not required to have been a member in prior years.